One of our greatest pleasures at Hammerton is witnessing the creation of a Hammerton home ‘from the ground up’. 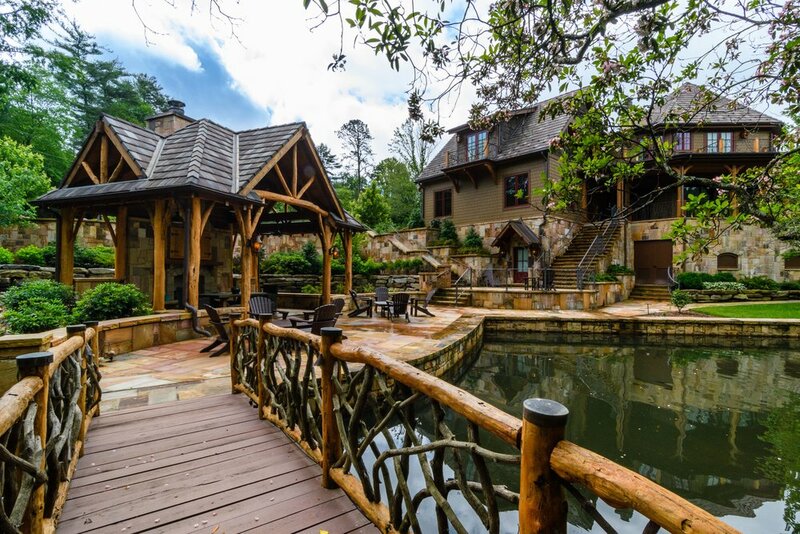 Or, more accurately stated for this breathtaking lakefront retreat in North Carolina, from the bedrock up. 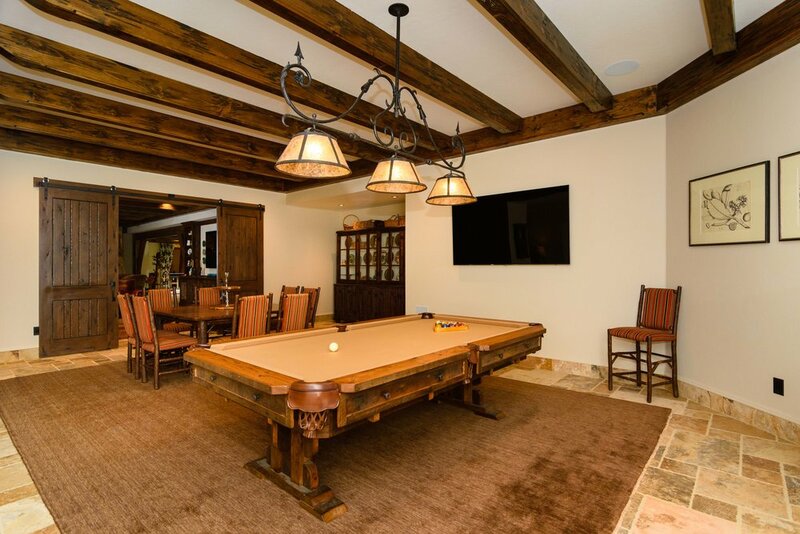 Indeed, almost half of the three year project timeframe for this majestic 15,000 square foot Lake Toxaway residence was dedicated to preparing the site for construction. This included demolishing a pre-existing structure, sinking 188 piles down to bedrock for the foundation, creating an elaborate pumping system to overcome five underground springs below the house, and establishing 550 linear feet of seawall without changing the lake’s water level (which remains constant at 3,010 ft above sea level). 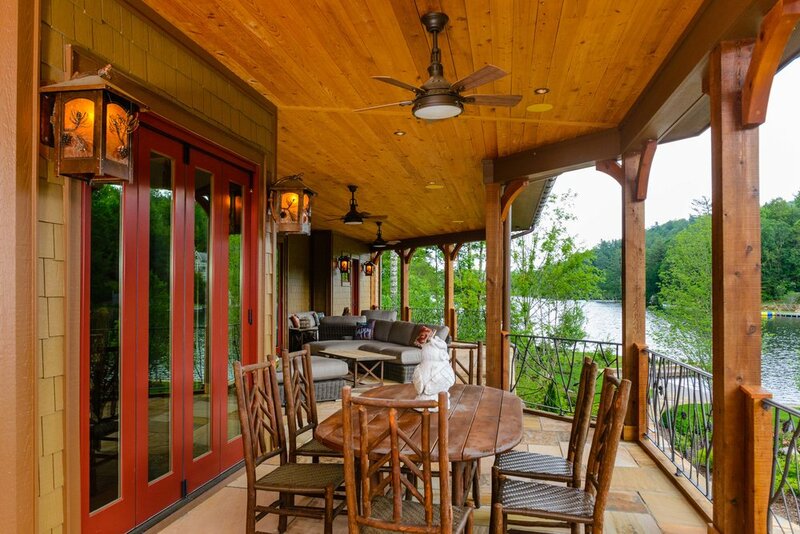 The homeowner’s vision was to capture a timeless mountain elegance nodding back to the stately rustic grandeur of the inns that dotted the Lake Toxaway shoreline over a century ago. Architect C. Allen Browne and Shephard Constructionbrought that vision to life with a thoughtful assembly of stone-flanked facades and gabled rooflines, a long airy porch wrapped along the lakefront length of the home, and ample use of reclaimed woods. 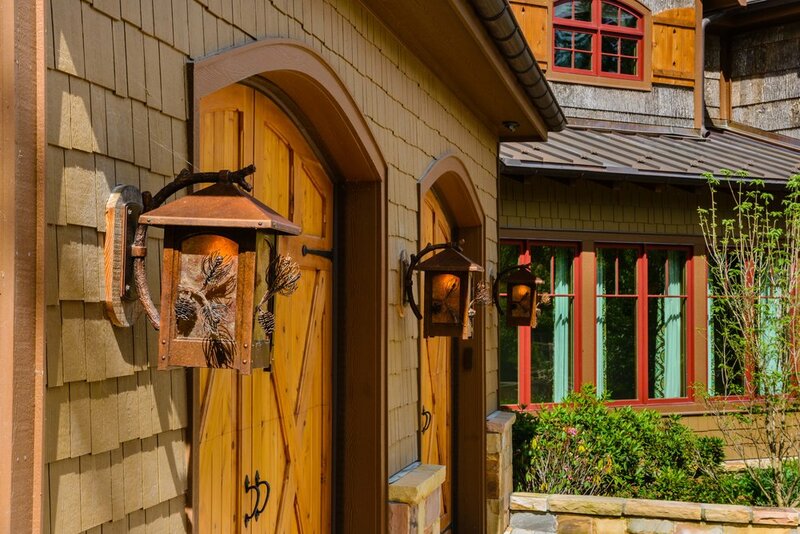 Over 50 custom and modified light fixtures from the Hammerton Chateau and Log & Timber collections extend this aesthetic of old world elegance throughout the home and surrounding exterior spaces, as shown here. 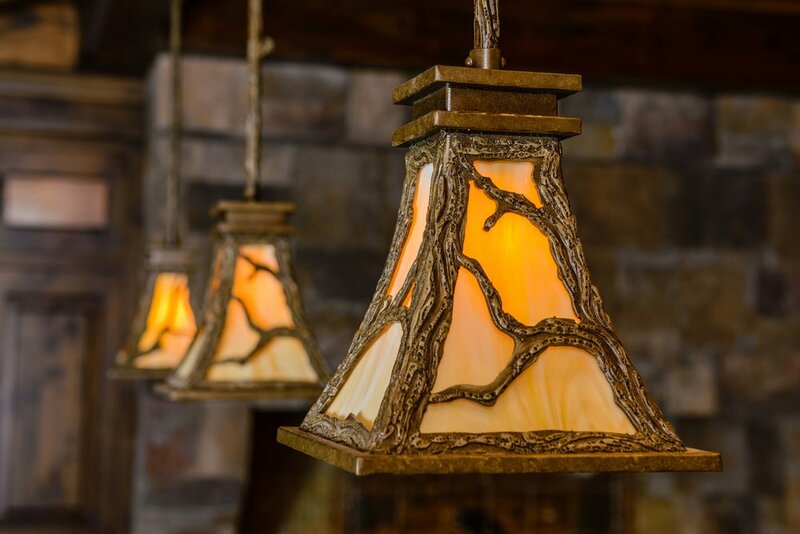 You can see detailed images of many of these fixtures in this recent blog post.